Celebrate your love surrounded by the iconic elegance of a Gulf Coast legend. The Pink Palace has ushered countless couples into wedded bliss over the past century. Become part of this legacy in our stunning indoor and outdoor wedding and reception venues. 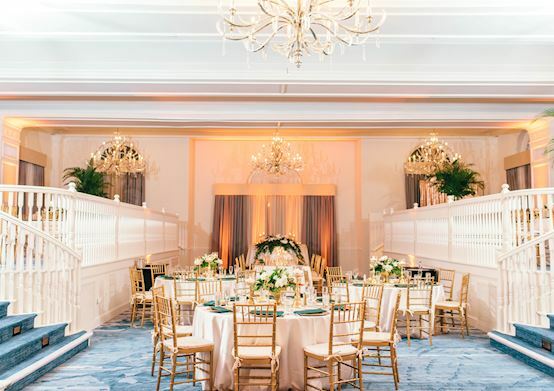 From casually elegant beach ceremonies to sophisticated affairs in our lavish ballroom, your celebration will be a unique reflection of your love. Let our expert wedding planners help you design the beach wedding destination of your dreams in our exceptional and memorable venues. Each is fully customizable to reflect your desires. A stunning location as unforgettable as your love. 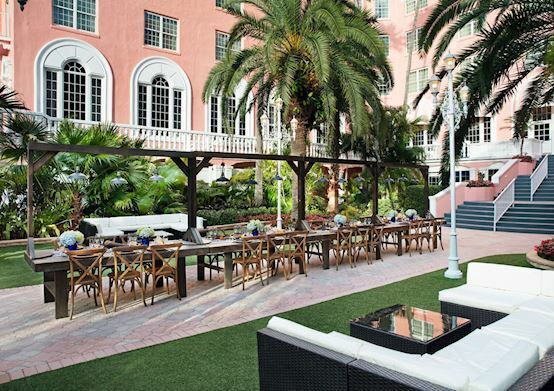 With the Pink Palace framing your celebration, exchange vows atop a staircase overlooking tropical gardens and the azure waters of the Gulf of Mexico. A flexible and dramatic venue for between 25-250 guests. A beach ceremony is the ultimate in casual elegance. With gentle waves lapping nearby, sink your toes into the sand with a ceremony set against the pristine sapphire waters of the Gulf of Mexico. Celebrate amid the epitome of casual and simple elegance. Accommodates 25-250 guests. Gracious elegance with stunning Gulf views. 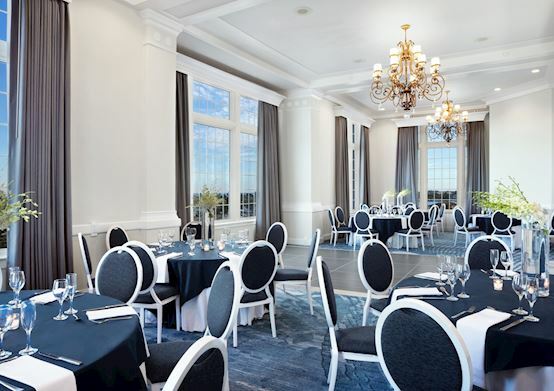 Soaring 15-foot vaulted ceilings and floor-to-ceiling windows overlooking the Gulf make this 5th floor ballroom the ideal venue for celebrations of 110-150 guests for buffet or plated meals. Enjoy cocktails in the stunning, adjacent marble foyer. Grandeur and sophistication set the stage for your celebration. Glide down twin curved staircases to the dark wood dance floor below with arched windows & spectacular Gulf views. Ideal for 110-150 guests. Enjoy cocktails on the adjacent indoor/outdoor space lined with aquariums and even more Gulf views. 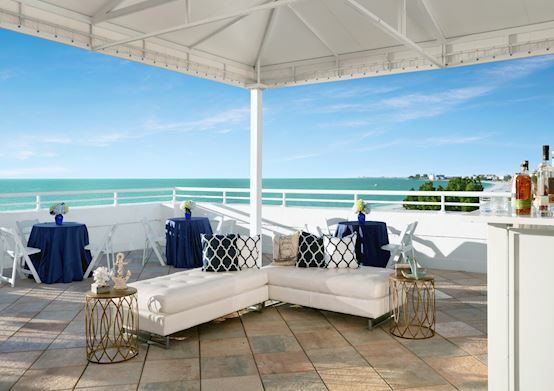 Exquisite spaces with private verandas and Gulf views. 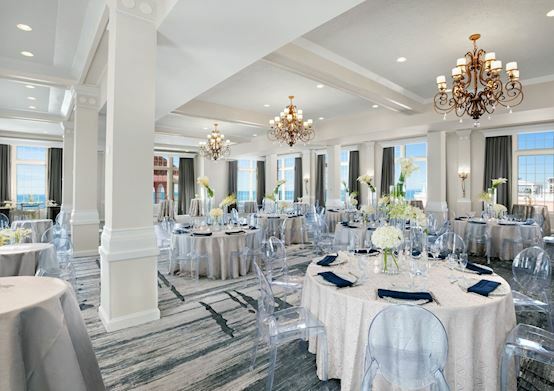 Located on the 5th floor, these stunning and spacious venues each offer 2,500 square feet of space with an adjoining private veranda overlooking the Gulf of Mexico. 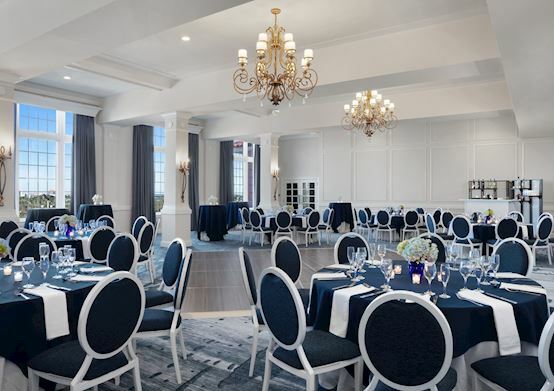 Each terrace ballroom can seat 80-110 guests for buffet or plated meals. An intimate space with breathtaking city views. Impressive floor-to-ceiling windows offer glittering views of Boca Ciega Bay, downtown St. Petersburg and the Skyway Bridge. The enchanting 2,109 square foot ballroom is perfect for a 50-guests buffet dinner or 80-guests plated meal. Enjoy an intimate ambiance and stunning city views. Stunning views of Boca Ciega Bay, downtown St. Petersburg and the Skyway Bridge are yours through dramatic floor-to-ceiling windows. This charming 992 square foot room is perfect for 30-person buffets or 40-person plated meals. Simple sumptuousness on the shoreline. 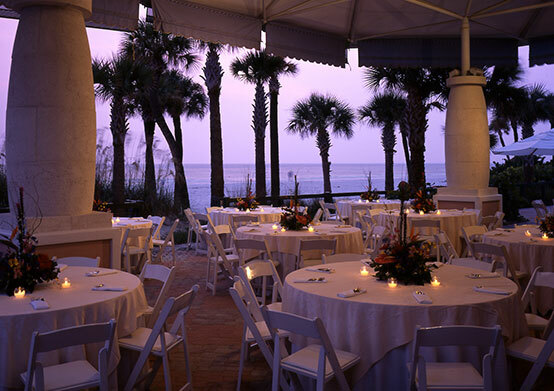 Enjoy the barefoot, simple coastal elegance of a ceremony set against the sapphire waters of the Gulf of Mexico. Our Beach Pavilion offers a covered venue for up to 250 people to enjoy a buffet-style meal and live music until 10:30 PM.